The clock is an important detail for every home. 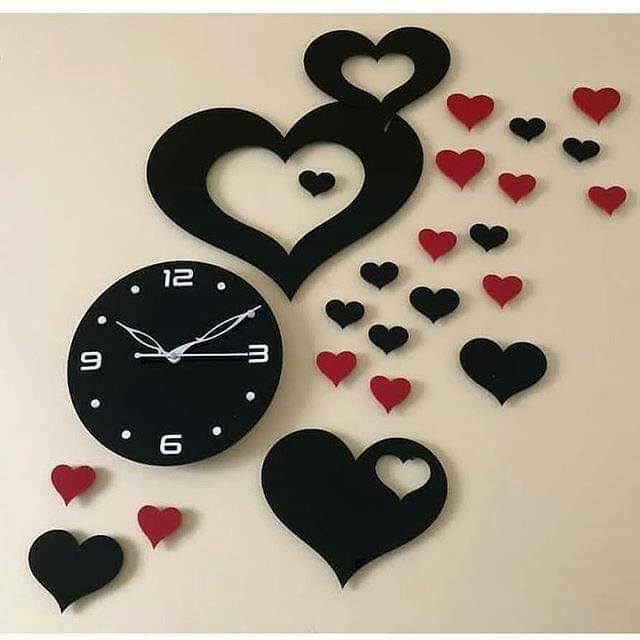 Never leave the house walls empty and choose the amazing design of the wall clock. In this post, we will show you antique acrylic wall clock ideas that will appeal your attention for sure. 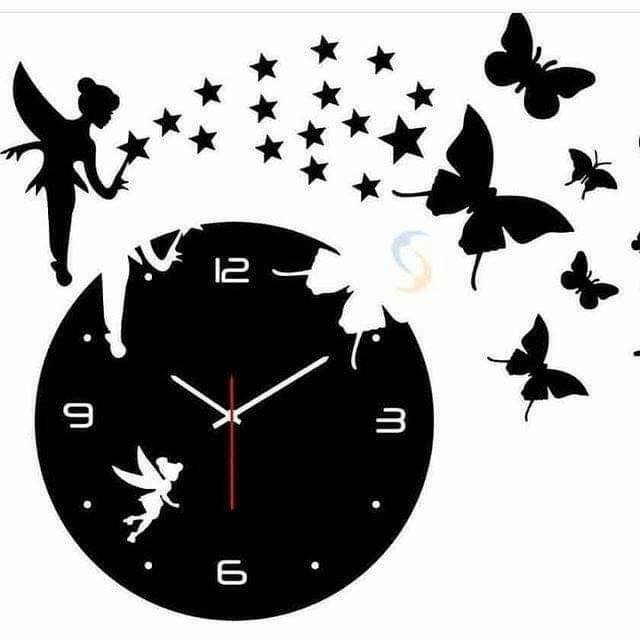 You will have the opportunity to see how to combine the 3D stickers with the clock on the house walls and I must admit that the ideas are absolutely cool. stay with us and spend great time to find motivation. Check our last post about how to make do it yourself craft desk in your own room, follow this link that will take you THERE! 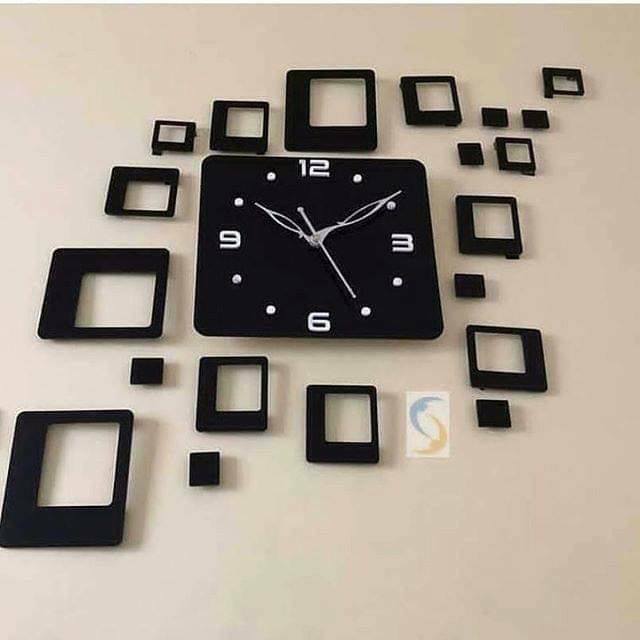 Beautify the house walls with a clock like this and complete the decor with 3D stickers. Find motivation now in the photo here that will be nice idea for black interiors. 3D stickers go great in combination with wall clock. 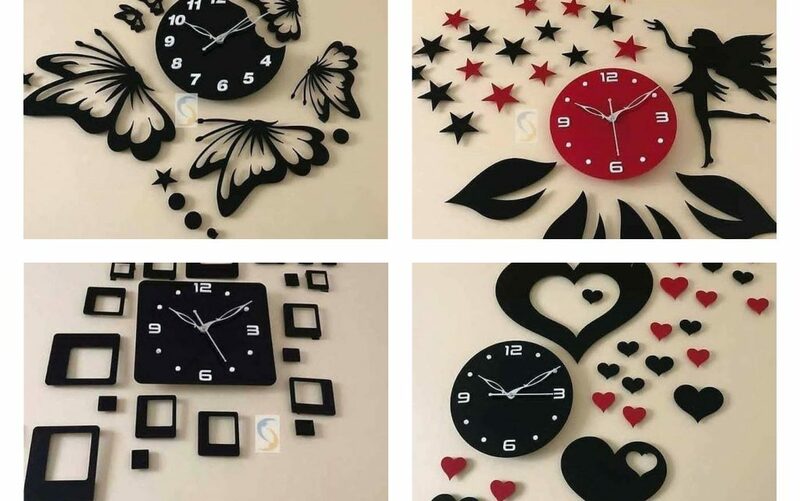 Make lovely house walls with 3D stickers and cute clock that will always show you the time. Fall in love with this design in the photo, but first check it out. 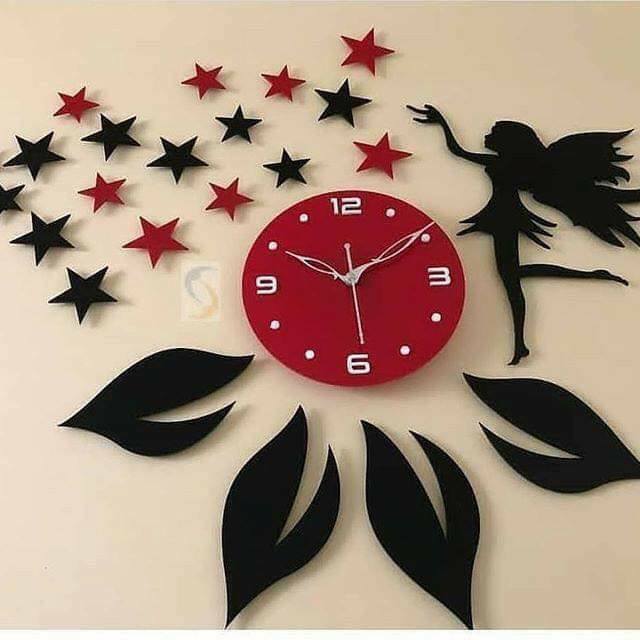 Girls can copy this design of clock and 3D stickers for their own room. Perfect idea for beautifying the teens or little girl’s rooms. Find motivation hereinafter. 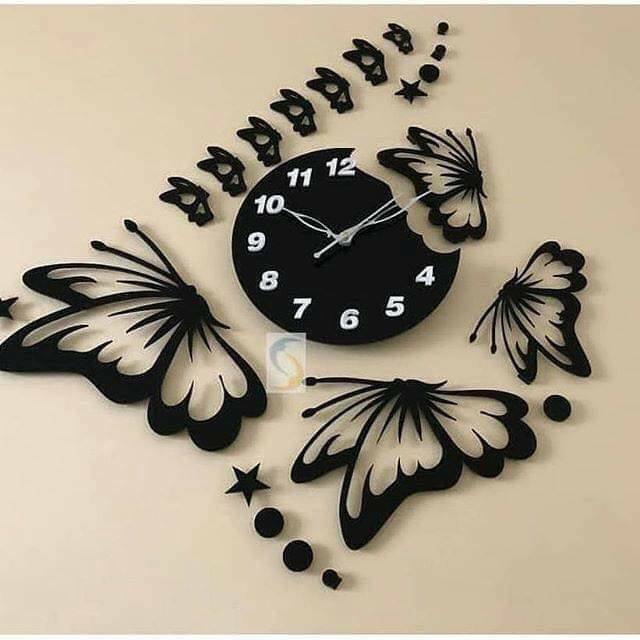 Add a lot of butterflies on the house walls that will go great with the design of the clock. This is the thing that your room needs for having a modern home. Draw inspiration from the photo. Add a lot of butterfly stickers on the wall ad complete the decor of the house walls. 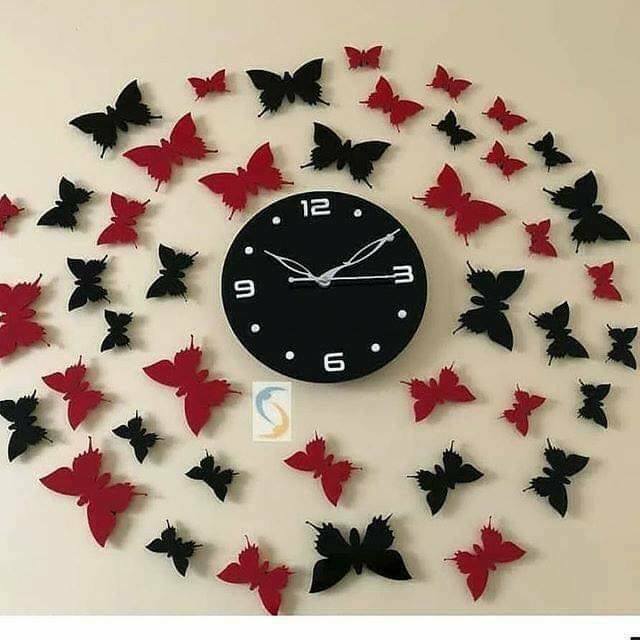 Your simple clock will get a unique design with these red and black butterflies as a 3D stickers. But if you don’t like butterflies on the wall, add hearts, chek the hearts stickers in the photos below. 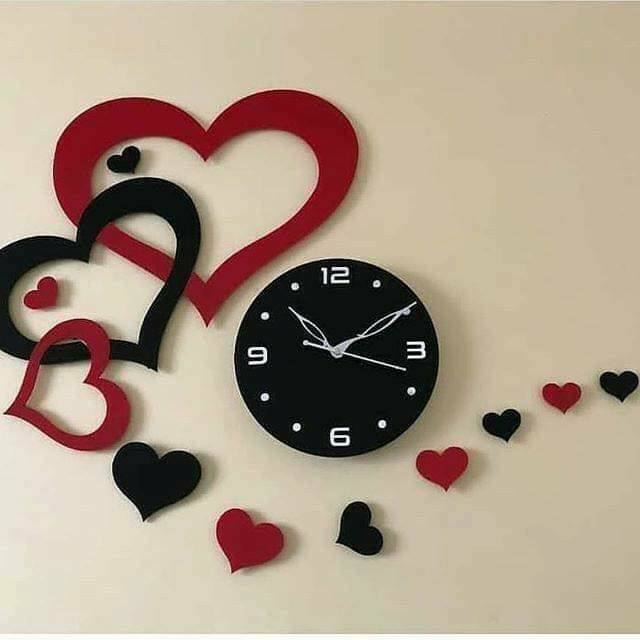 If you have already chosen simple design for the clock on your house walls, it’s time to complete the decoration with 3D stickers in the same colours or whatever colour you will choose. Arrange carefully the hearts stickers and enjoy in the style. The combination of black and white looks great on the house wall. Add a black coloured clock and also choose red stickers. The red and black stickers here in the photo are heart shaped so this helps for creating a romantic wall look. This is the last photo of this post. To be honest, I can’t decide which clocks of these is the best for my home walls, because all of the designs are so cool. What about you? Tell me in comment below this post which is your choice? Thanks a lot for your attention!